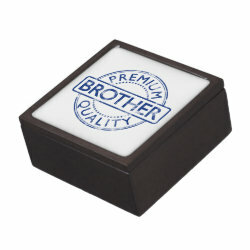 This fun circular design looks like an old-fashioned ink stamp. 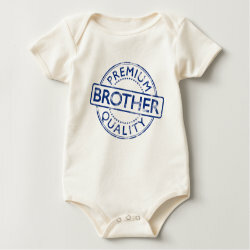 The dark blue inky print color has been distressed to give the design a vintage More... look. 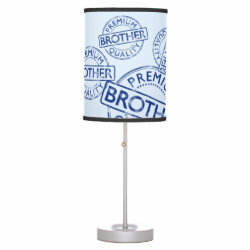 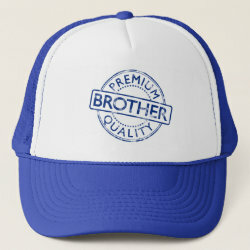 The text reads Premium Quality Brother. 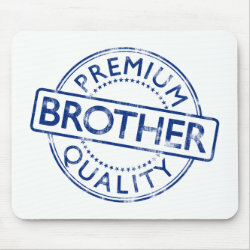 This makes a great gift idea for your favorite sibling for his birthday or any time you want to let him know you think he's premium quality!